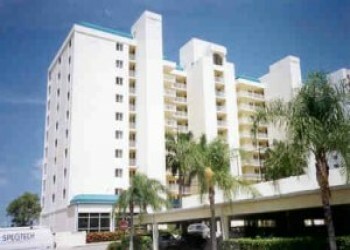 1 bedroom/1 bath beachfront condo. Private balcony viewing Gulf of Mexico and beach. Amenities include pool, tennis, jacuzzi, sauna, exercise room and restaurant/bar. Queen bed in the bedroom and queen sized sofa-bed in the living room. Nightly rentals available (3 night min.) from May 1st through mid December. Call for rates, availability and to place reservations. Nightly rentals will not be accepted for on line reservations.